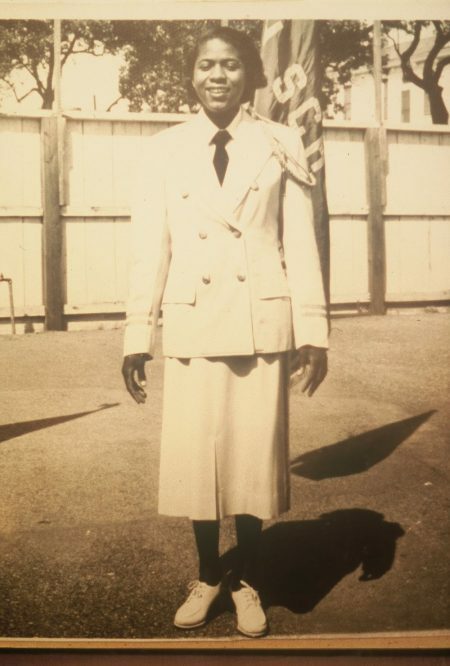 From 1952-1959, while kids across the country went wild for New Orleans R&B, the revered band instructor Yvonne Busch groomed some of the city’s finest talent at Clark. 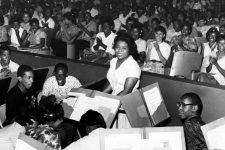 She helped drummer John Boudreaux and other students form the Hawkettes, who recorded the Carnival staple “Mardi Gras Mambo” in 1954. Boudreaux went on to join the house band at the Dew Drop Inn, play on hit records including Ernie K-Doe’s “Mother-in-Law,” and eventually move to California with Harold Battiste’s AFO Executives. 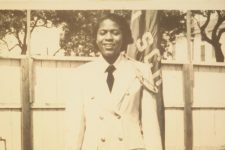 Drummer Joseph “Smokey” Johnson—Busch’s neighbor in Treme—gigged with the likes of Sugar Boy Crawford while he was still her student at Clark. A drum cadence he wrote in her class became the basis of his widely sampled tune “It Ain’t My Fault,” a local classic from 1964. 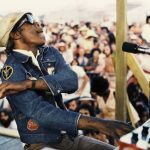 His bottom-heavy style made him a studio favorite—he played on “Big Chief” by Professor Longhair among many other hits. 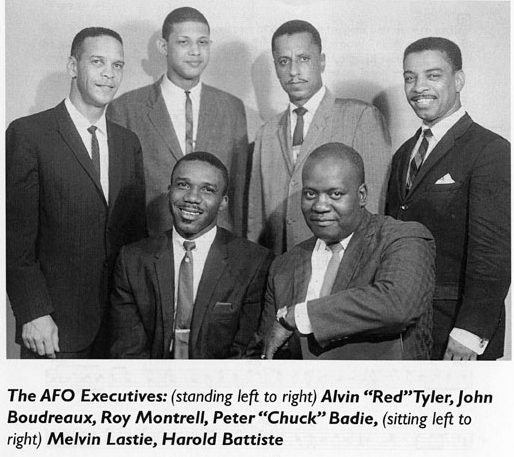 He also spent more than 20 years as Fats Domino’s drummer. 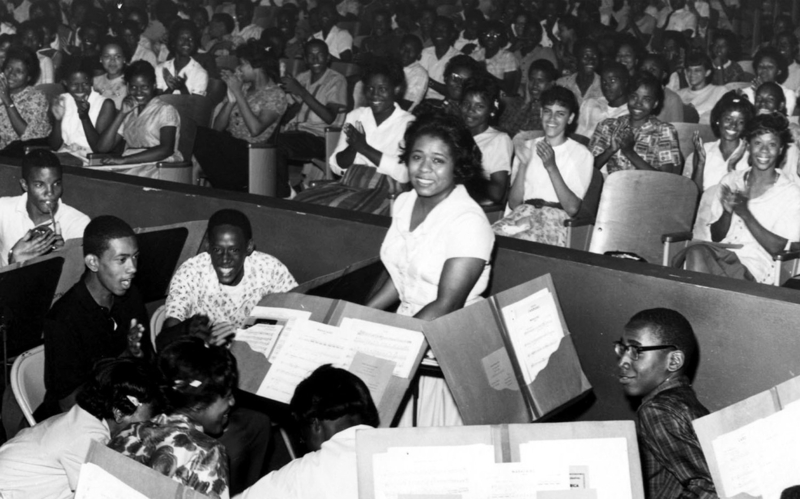 Busch had her students each learn two instruments. 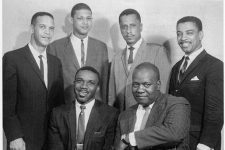 This method helped James Black, who studied trumpet and drums, become a composer as well as a masterful drummer. He played with Ellis Marsalis and other jazz heavies including Lionel Hampton and Cannonball Adderley. 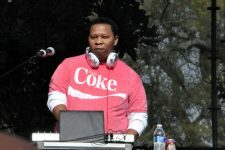 He also recorded standout drum breaks on popular songs like Eddie Bo’s funky “Hook and Sling” on Scram Records. In 1983, a parent booster of the Clark school band asked band captain Philip Frazier, a skinny tuba player, to put together a student brass band to play a private function. He did, and afterward the schoolmates played for tips on the street in the French Quarter. 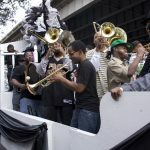 Thus began the Rebirth Brass Band, which would include Philip’s brother Keith on drums and Kermit Ruffins on trumpet. 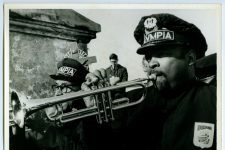 Building off of the Dirty Dozen Brass Band’s modern take on brass band music, Rebirth’s heavy tuba riffs and danceable hooks set the template for every young New Orleans second line band since. Clark High School alumnus Joseph "Smokey" Johnson with Joseph "Zigaboo" Modeliste and Bob French at the New Orleans Drum Summit panel from the 2008 Ponderosa Stomp Music History Conference. Video © the Ponderosa Stomp Foundation. 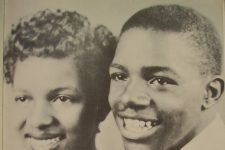 Shirley and Lee perform their 1956 classic "Let the Good Times Roll" in 1974. Shirley Goodman topped the R&B charts again that year with an early disco record, "Shame, Shame, Shame." Trumpeter Milton Batiste of the Olympia Brass Band, seen here in the late 60s, was in the first music class at Clark High School when it opened in 1948. 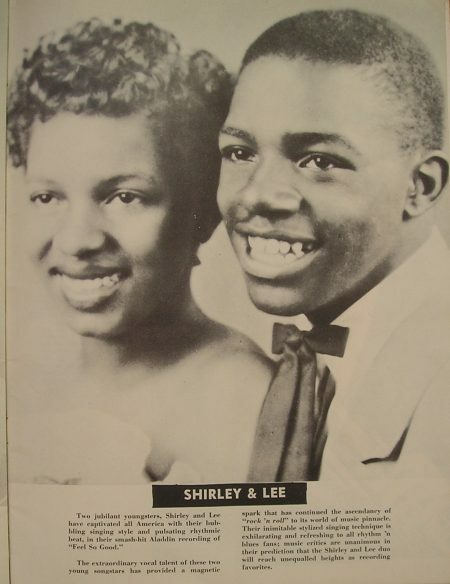 Shirley and Lee, "two young songstars" from Joseph S. Clark High School who became a national sensation in the 1950s. Photo uploaded by bunky's pickle. License from Creative Commons. 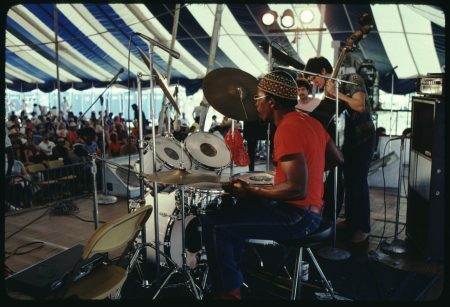 Drummer James Black, one of the finest musicians to come out of Yvonne Busch's program at Joseph S. Clark High School. 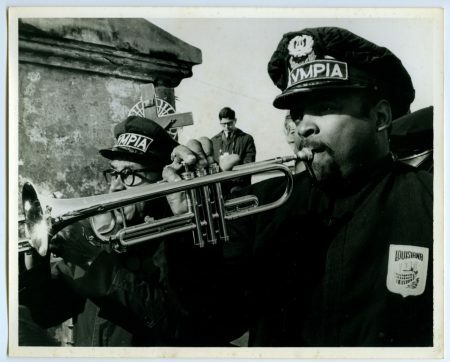 ©The Historic New Orleans Collection. Photograph by Michael P. Smith. 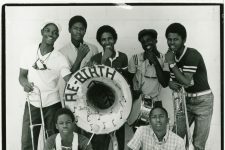 The Rebirth Brass Band (then called Rebirth Jazz Band) in 1984, shortly after Philip Frazier organized some of his classmates at Clark High School. DJ Mannie Fresh at the Congo Square New World Rhythms Festival in 2014.